CEREC truly is a huge step forward in dental technology that is found only in some of the most advanced dental practices in the world. 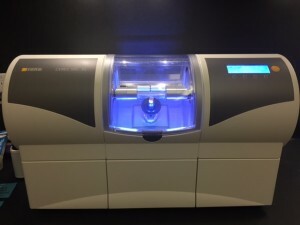 CEREC (Chairside Economical Restoration of Esthetic Ceramics, or CEramic REConstruction) makes it possible for us to create a custom dental crown for you in only one visit! You can literally walk into our Carlsbad dental office and walk out the same day with a beautiful and durable new dental crown. If you are interested in learning more CEREC, call us today to schedule a visit!